A complete step by step tutorial on NuGet Package Management in ASP.NET MVC. Hello friends, I hope you all are doing great and having fun with your lives. In today’s tutorial, we will discuss in detail about NuGet Package Management in ASP.NET MVC. It’s 15th tutorial in ASP.NET MVC series. 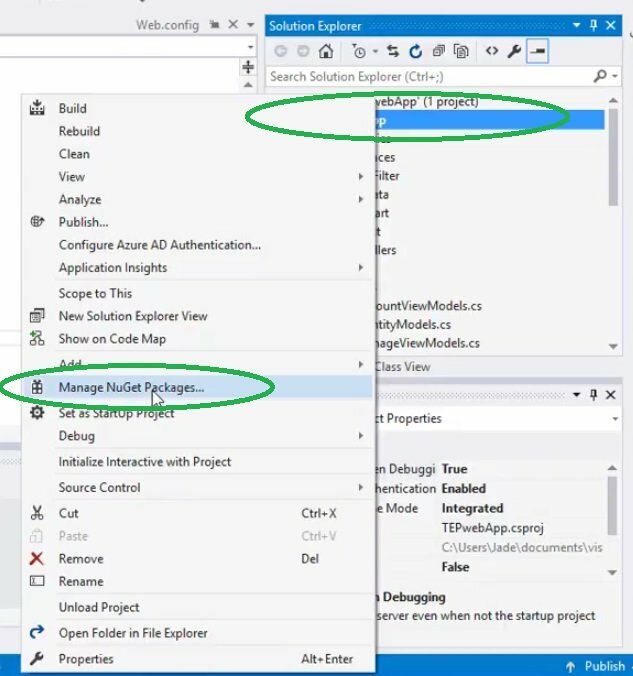 Today’s tutorial is not about programming, instead we are gonna discuss this pre installed tool NuGet Package Management in ASP.NET MVC. 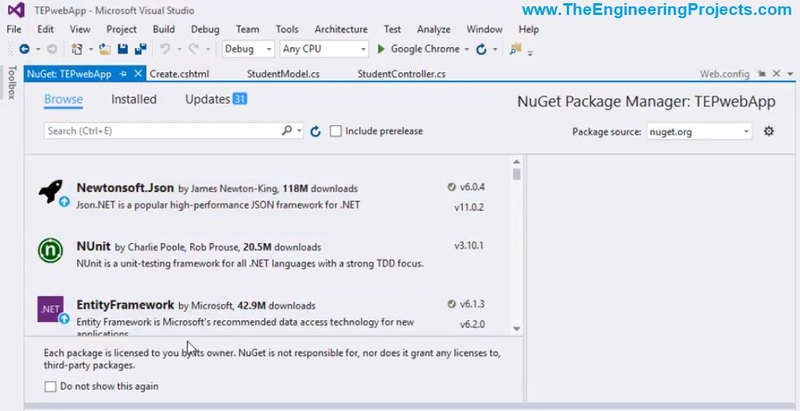 NuGet Package Management is a package manager for ASP.NET MVC, which is used for downloading and installing different packages & Libraries online. If any of your packages needs to be updated, then it can also be done by NuGet Package Management. There are many third part packages available online, even there are many independent packages developed by Microsoft itself, which you can easily download & install using NuGet Package. These third party packages could be open source or closed source. So, now let’s have a look at How to install any package using NuGet Package Management in ASP.NET MVC. Browse: For browsing new packages. Installed: Search pre-installed packages in your visual studio. Updates: Here you will get the notifications for updates of your pre-installed packages. On the right side of each package, we have two versions listed. The upper version is the installed version of that package in your visual studio software and the lower one is currently available version. You can click on the upper arrow to update that package.